Businesses are moving towards the internet to stay in touch with their clients. They use the business Property website as a way to attract the prospect customers and maintain touch with the existing ones. Besides this, there are innumerable benefits of having business website, for your business. The website we are going to talk here is one of the best property site that allows user submission and display the listings that they want to let. We have this case study about one such business website – Marlou Property which is built from Directory theme and RealEstate Plugin. In 2014, we approached to Marlou Property with the view to update an existing website. 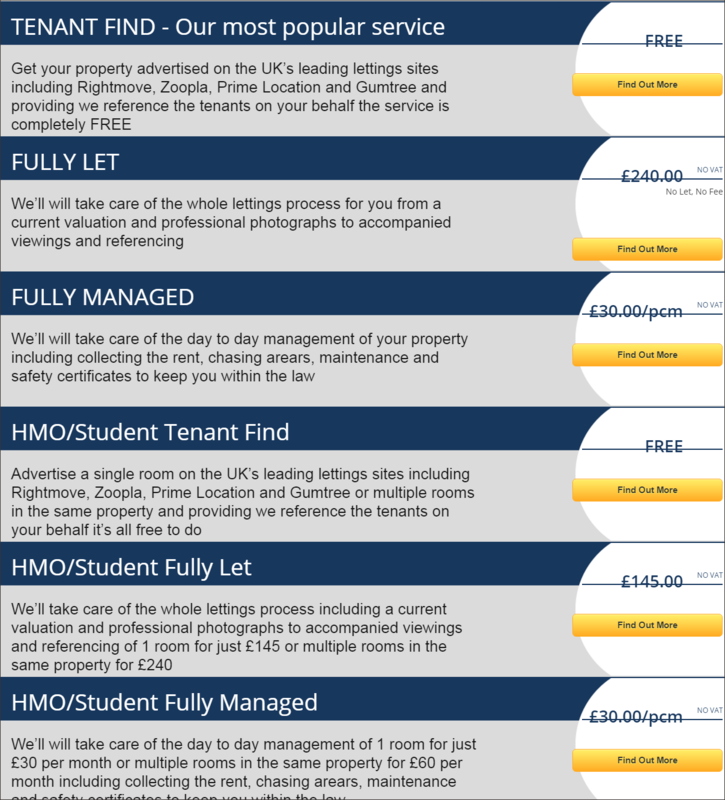 A website that will now have the option to allow Landlords to upload properties. These properties can be searched by potential tenants. When we first thought about updating our website our aim was to create a website that was clear and clean looking. We wanted our pricing structure to be obvious to the user to fit in with our ethos of transparency. We wanted all the information that we wanted to convey to be simply laid out and structured. Easy to navigate through but also attractive. We did not want to crowd the site with pictures and chose instead to separate the text into visual blocks, tabs, and links to make the visual aspect more pleasing to the user. Finally, we wanted to be able to create a platform where the user can upload property details directly to the site to be advertised on the site but also store the details so that we can utilize them and advertise the property elsewhere also. The submission form needed to give the client instructions, on how to complete the form while they worked through each key step. We wanted to allow Landlords/property owners to enter property details, this required the form design to include instructions. An example of such a form can be found here. The goal was to design the submission page in a more engaging fashion inspired by “Step by Step onscreen guide”. We developed this by coding a custom shortcode with text areas on the sidebar adjacent to the corresponding form elements. Then these text area’s were displayed depending on the location of the cursor by using custom Jquery listeners. The real challenge for us was to add these event listeners in the form as the submission form was generated on monetization functions code depending on the custom fields and custom post type. To achieve this we customized the monetization files. The other goals we achieved were : Integrating Worldpay into our site, designing a custom footer, design a different profile page for users. The client form submission area, this helps us take payment from the Landlord to advertise their properties for a certain amount of time according to the package they purchase. 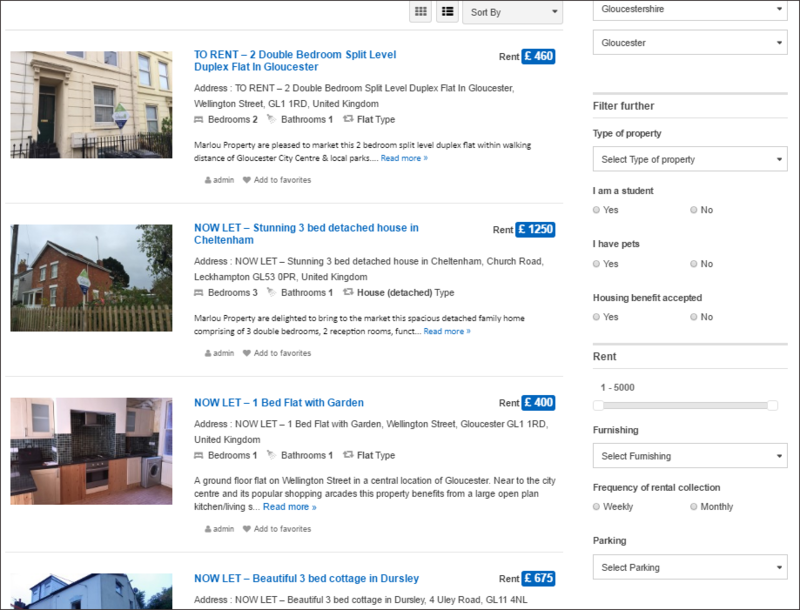 With the option to extend this further should they wish, we also think the search option andfilters allow prospective tenants to easily find properties for rental in the surrounding area. The directory theme has many great features, and the language features using PO files really helps anyone in another worldwide location adapt their website to make changes for localization, for instance, the USA might use “State” whereas the UK use “County” etc. Using the PO files this can easily be altered as required. Speaking with the pre-sales support we were able to supply a written statement of works, we found that the Templatic Directory theme would complete our full requirements. The theme already had a checkout solution for World Pay and we were already using this merchant so this saved any time in developing anything from the ground up. The site is self-sufficient and grows naturally as new properties are entered. Landlords are able to purchase new packages as they require to advertise new properties, they are also allowed to edit to existing properties so long as the existing package is still current. 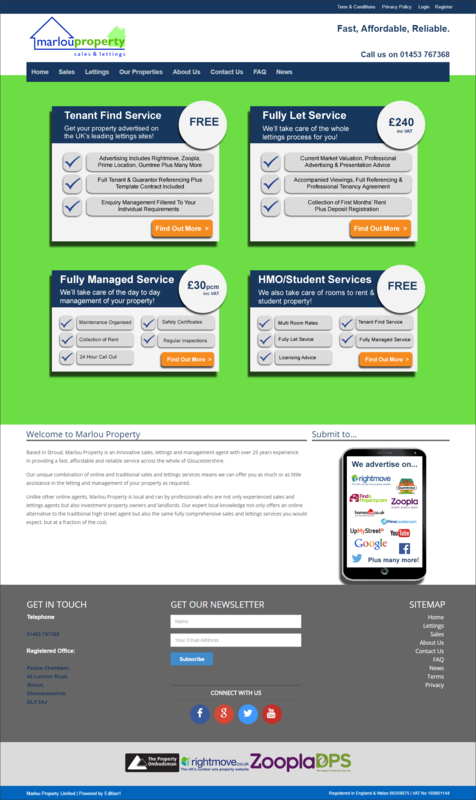 With Marlou landlords can simply purchase the package they require to promote the properties they own. They can list anything they like about the property and we will also supply the same information to other third party property websites so the advertising is spread. To keep with current market trends, as a company we wanted to be able to offer low-cost property advertising through our website. Our website allows the customer to advertise from the comfort of their home rather than having to visit our office or organize a client meeting at their own home. For this, we needed an easy to navigate form that the user could use to submit the details of their property. The form should include all the details in a manner that allowed us to then use the information to advertise their property on other sites also. Because of this,the form fields were specific to the information that we required. On top of this, we wanted to give the user some pointers of what to write or instructions of what they were required to do,at the same time did not want the forms to look crowded or give too much information at once. Because of this we wanted to design a form that would show or highlight certain information when the form field was selected. The Directory theme allowed us to alter most areas with ease using some CSS as instructed by Templatic. We were able to change any other areas of the website that were not supported out the box. On top of this we also required different form fields dependant on the type of property to be advertised, whether it was a house/flat, single room or multiple rooms in the same property because the information required and the pricing structure for each was different. This form then led to the customer being directed to a payment page where they paid for the service they were receiving. Our chosen payment client was Worldpay and we required for the form to then direct the user to the Worldpay payment holding page so that they could make payment. Marlou Property is the best example of a perfect property business online. Convenience in everything, a simple site with clear navigation, easy submission from the users, clear display of the pricing and taxes, smooth sales and letting services. The site is running successfully with its clear schemes and helping the owners to find tenants and vice versa. With brilliant customization and clear pricing display, the website is an example of just how you can make a full-fleged property website which is beneficial to both, the tenants and the landlords/property owners. Thanks Mr. Simon for answering us and letting us have your inspirational story published on our blog.